The region of the Amalfi coast in Italy has so much charm! Every village is relatively small, but they all have their own beauty in a way. 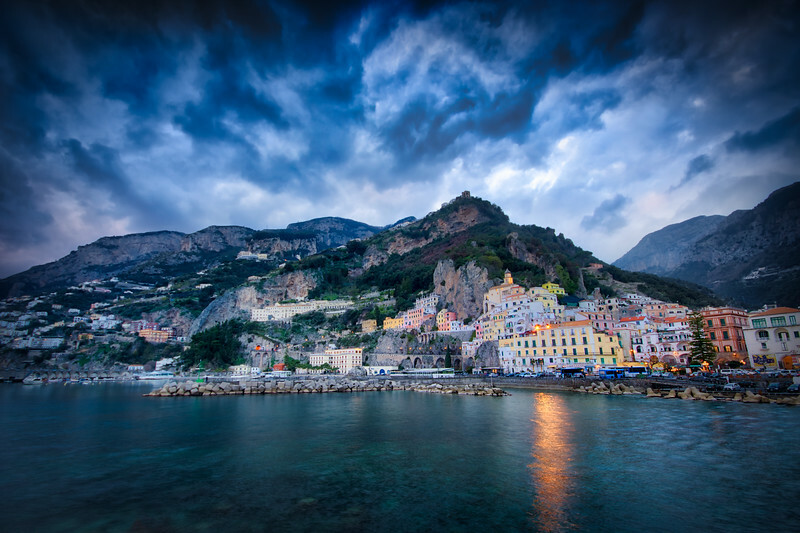 Take Amalfi itself here for example - it might not be as scenic as Positano, but the wild mountains and the endless walks that one can do around this village are stunning. I spent a good amount of time on the pier this photo has been taken from. Watched the whole thing - the sun, sunset, night... until I started to freeze and saw that I caught the last bus home, hehe.